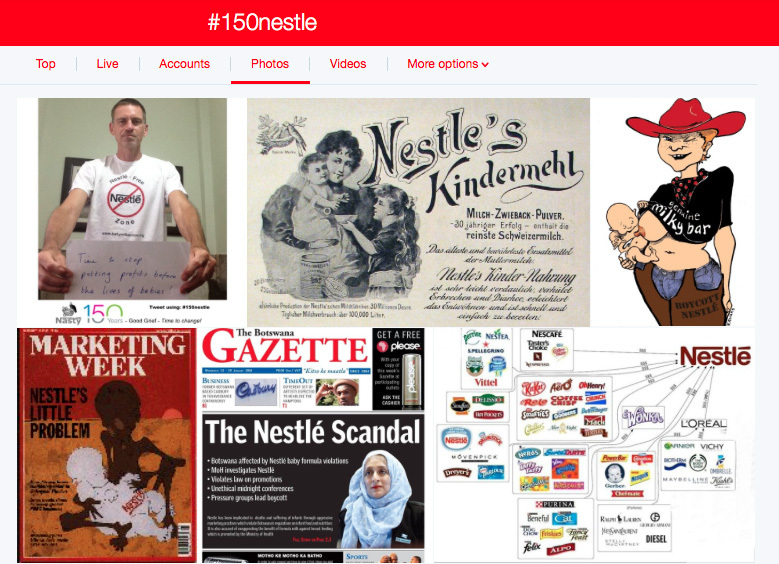 Nestlé is celebrating its 150th anniversary in 2016. But this should also be a time of remembrance and repentance. Its history is littered with practices even later executives have disowned. Such as the way it promoted sweetened condensed milk for feeding babies. While it claims the first product created by Henri Nestlé, farine lactée, saved the life of a neighbour’s child, this was soon being exported around the world in bulk and the assault on breastfeeding cultures began. Unethical practices continue, from aggressive baby food marketing to exploiting community water supplies. 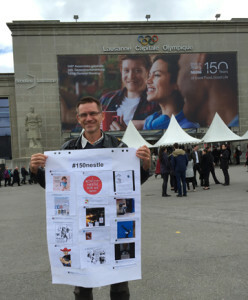 We will compile the best images to take to the Nestlé shareholder meeting on 7 April and to use in other campaigns throughout the year. Donate a few pounds to help us to expose Nestlé. 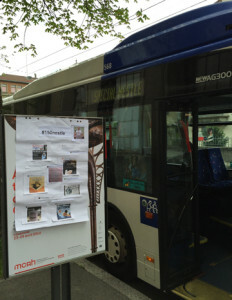 Update: a selection of tweets were displayed where shareholders arrived for the meeting. I have a dream that one day Nestle will develop an ethos that says the lives and health of babies are more important than profit that comes from unethical marketing of Breastmilk substitutes .